Having been a fan of the Gunners since just before The Invincibles era, I have seen the Gunners move from a period of glory to one of frustration and inadequacy. As I reflect on the many players that have come and gone, I decided to do up a list of my favourite Arsenal XI, for old times’ sake. It was tough choosing my favourite for each position, given the quality players all around. So, here it goes! Jens Lehmann was an outstanding goalie in his own right, but even he could not compare to Seaman. Seaman must qualify as one of the shrewdest signings of the great George Graham, even if his transfer fee of £1.3m was quite the gamble back then. He went on to impose as indisputably Arsenal's best No. 1 for the last 2 decades. He definitely did not deserve to sign off his international career with Ronaldinho and that wicked free kick. 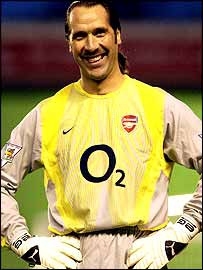 Ponytail or not, Seaman was a steadying presence on the field and for England, winning the hearts of countless Gooners. Long before the rise of “Cashley”, Winterburn, another masterclass from the Graham era, served Arsenal with distinction for more than a decade. 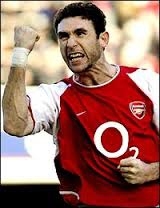 What I liked most about Winterburn was his fiery passion for the game, his reliability and strength. Of Arsenal's list of solid left backs over the years, Winterburn was probably the most memorable, a true winner who will be remembered as part of Arsenal's glorious era. Right back was another position that was hard to pick a favourite. Should I go with Dixon or Lauren? Both were indefatigable in their pursuit of victory, solid and effective players who won fans over with their all-around ability. However, I feel that Dixon just about nicks it. Widely touted as Arsenal's best right back in history, Dixon managed to showcase his excellence in an unfashionable position which has been notoriously hard to earn recognition, and that's why he's my favourite right back. Vieira was an indomitable presence for Arsenal both on and off the field, with his astute leadership and passion. 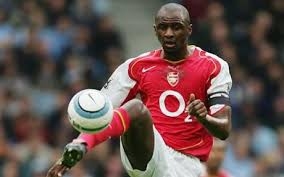 One of the most respected Arsenal players of all time, Vieira must rank as one of Arsene Wenger's finest signings. It says a lot when Arsenal is still searching for a leader of similar calibre since his departure. In central midfield, I would go with Santi Cazorla and Robert Pires. Let's start with Cazorla. He is quite the little magician with his technical quality and intelligent play. Despite his small stature, he makes up for it with his quick thinking and vision. One of few genuinely two-footed players, Cazorla is an example for younger players worthy of emulation. Never one to hog the limelight, what makes him so likeable is his ability to do his job beautifully and efficiently. 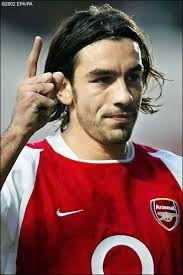 Pires was another player capable of conjuring magic long before Cazorla set foot in the Emirates Stadium. One of the most unforgettable wingers that Arsenal ever had, he had the unenviable task of replacing Marc Overmars, himself a brilliant player. Although he initially found the league quite physical, he eventually adapted and excelled as all great players do. 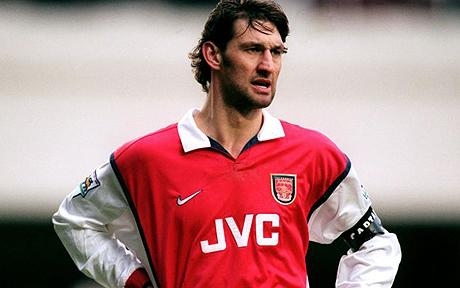 The end result was a stellar Arsenal career in which he played a pivotal role as part of The Invincibles. When it comes to choosing my favourite attackers, the choices were clear. There were none that could compare to Henry, Bergkamp and Kanu. 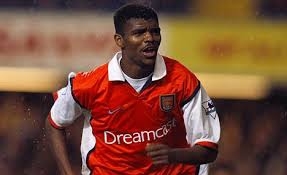 Kanu was a player with true passion for the game, and a philanthropist off the field. He was Nigeria's most decorated player, and a trailblazer for many African players after him. Tall and lanky, his ability to waltz past defenders and display physical strength were atypical of those with his physical build. It was a pity that he left after only 5 seasons, but his contribution in that time has found a special place in the hearts of Gunners fans. And finally, the King, Thierry Henry. Not many players can attest to having a statue erected in their honour. He was to Arsenal what Robbie Fowler was to Liverpool, and so much more. Arsenal's all-time top scorer carried the team with his goals and all-around play to levels that had not been previously imaginable. Henry was the complete goalscorer, be it in terms of his first touch, awareness of the goal or his ability to improvise. 174 goals in just 254 appearances is the result of a world-class player, one which Arsenal has not and could possibly never successfully replace. A true great of the game, Henry is the undisputed hero that every Arsenal fan looks up to. You might not agree with my choices, but hey, Arsenal has so many great players. Hope you enjoyed the read!